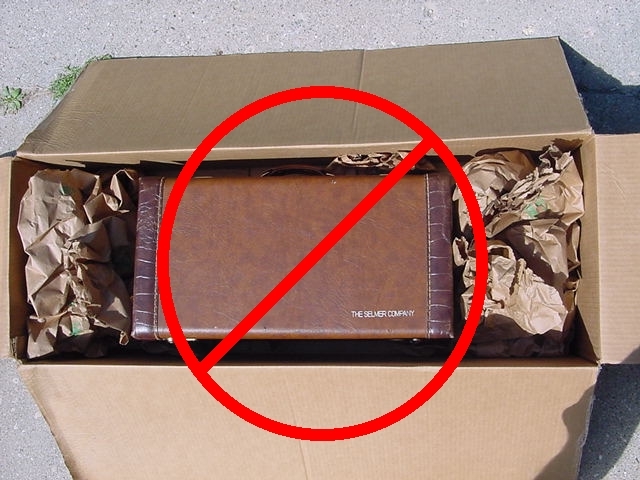 Shipping damage is more common than you might think. 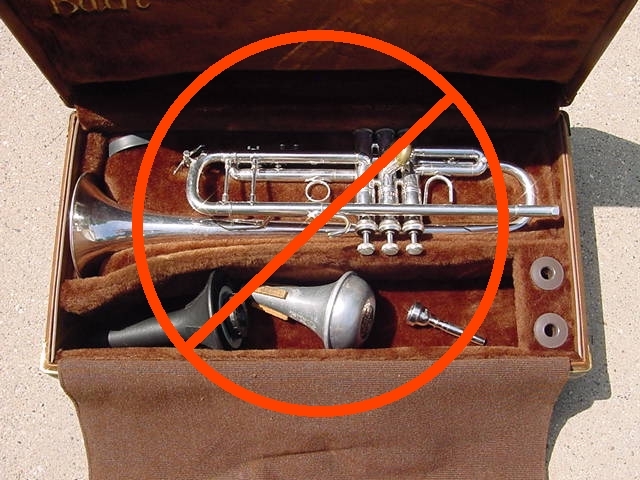 Probably 50% of the trumpets that have been shipped to me have had at least some damage that was a result of poor packing. 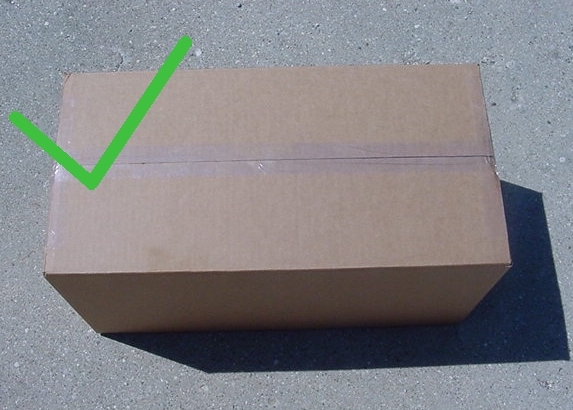 Most often the exterior box is not badly mangled, yet the horn is dented or bent. 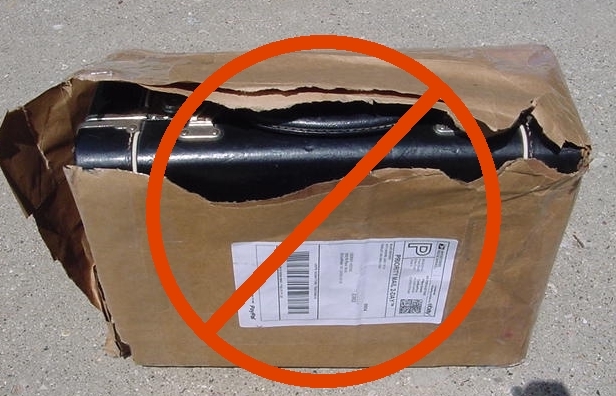 Horns shipped in a hard case are particularly vulnerable. 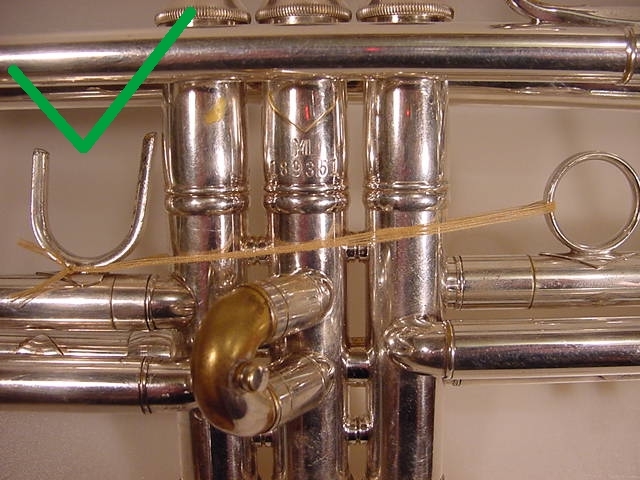 When the box is dropped, the inertia generated by a fall slams the trumpet into the hard inside wall of the case, damaging the horn. 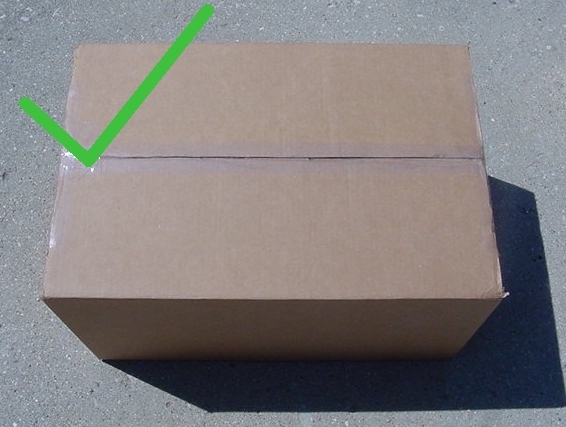 If the exterior box looks OK, shipping companies will not pay out any insurance you may have purchased! 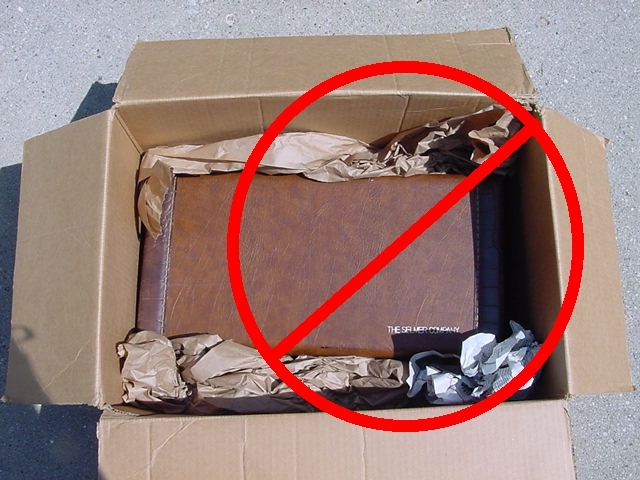 If you follow these instructions, the odds of a damage-free shipment will rise to about 100%. 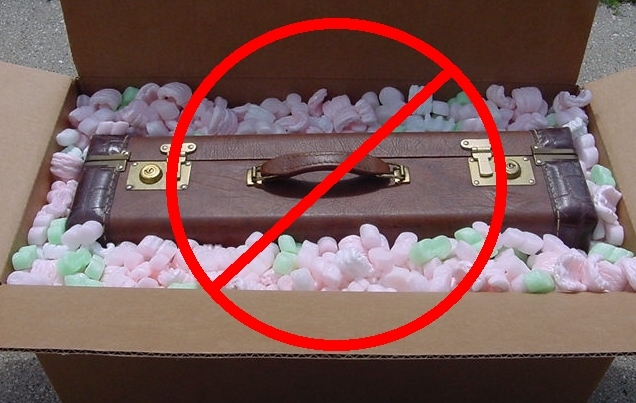 It is safest to ship a trumpet without the case! Use the thread (doubled up) or string to tie down any slides that may slip off. 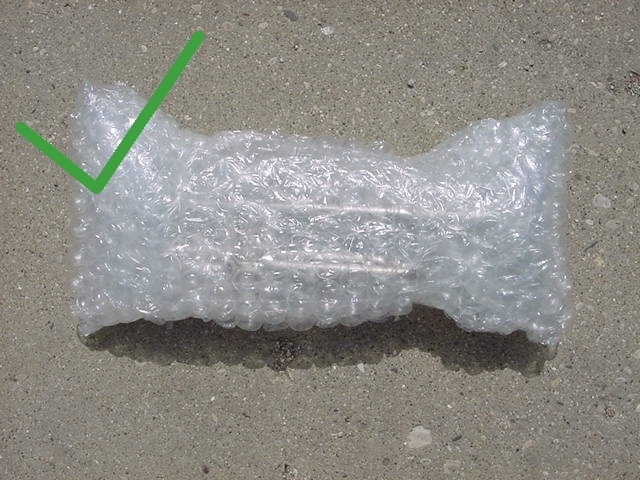 Wrap trumpet in a "cocoon" of 4-5 layers of bubble wrap and secure with packing tape. 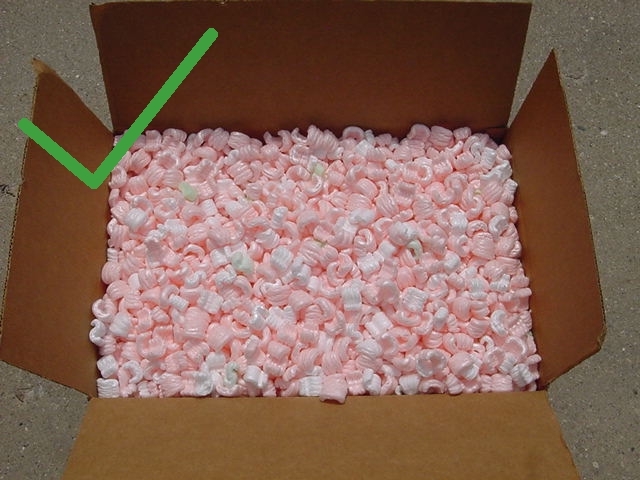 Surround with packing peanuts in box. 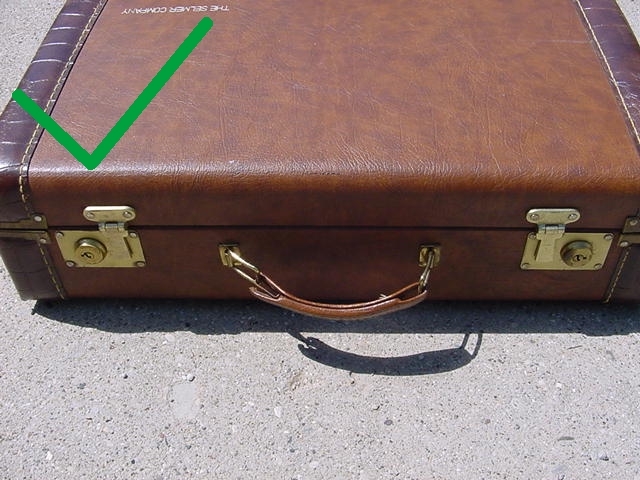 Make sure there is enough room on all sides of cocoon. Fill the rest of the way. 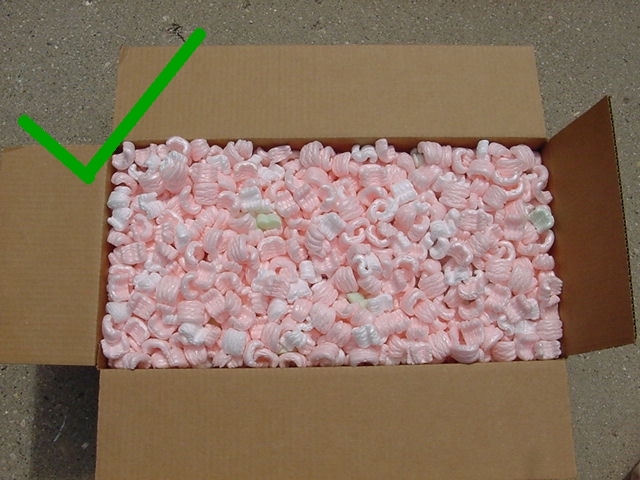 Jiggle box so peanuts can settle. 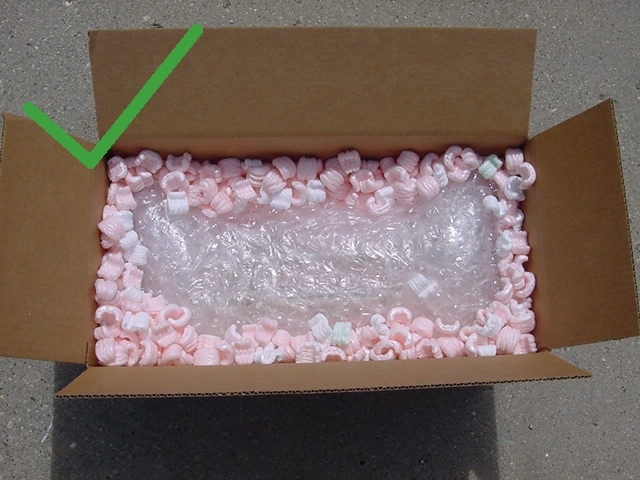 Seal box with several layers of packing tape. 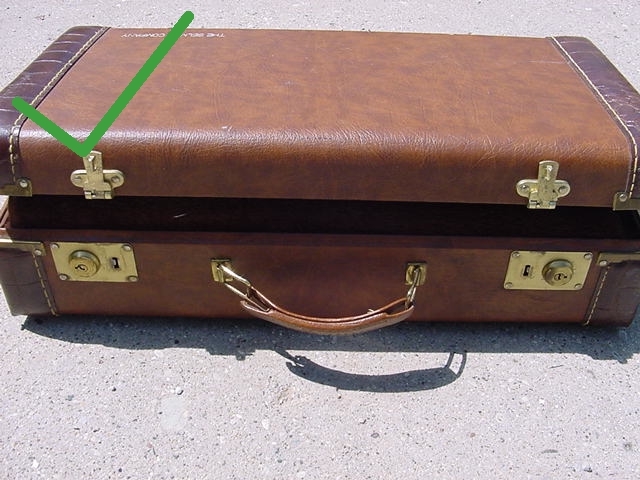 Packing a trumpet WITH a case. 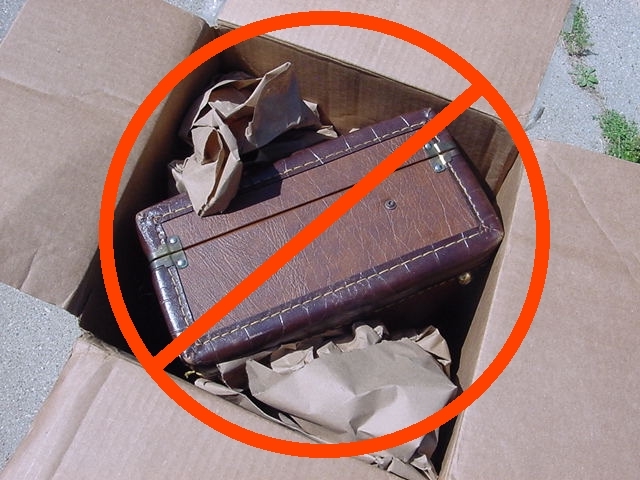 Any loose items, or a trumpet that can wiggle at all inside the case will cause damage. 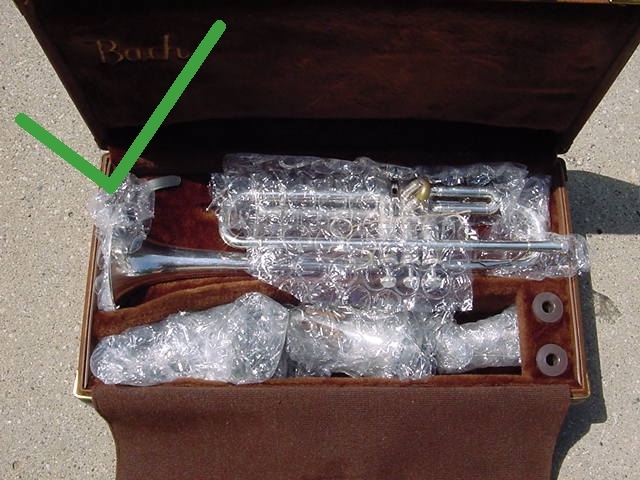 Bubble wrap any loose items, and use bubble wrap around the trumpet so that it cannot wiggle at all inside the case. Case should be a little hard to close for a snug fit. 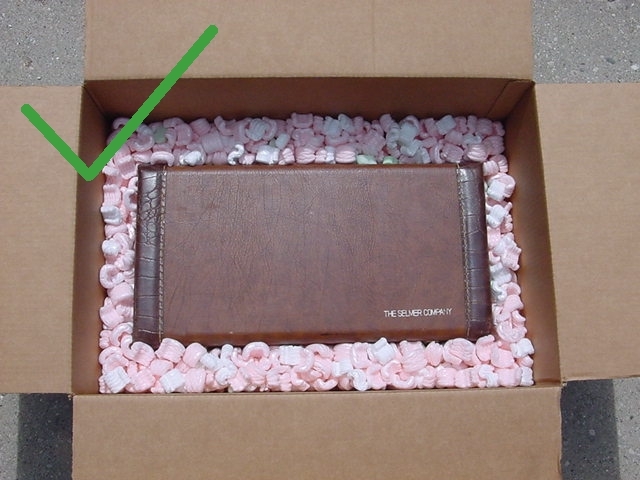 Surround case with packing peanuts in a box big enough for cushioning on all sides. See below for examples of what not to do. 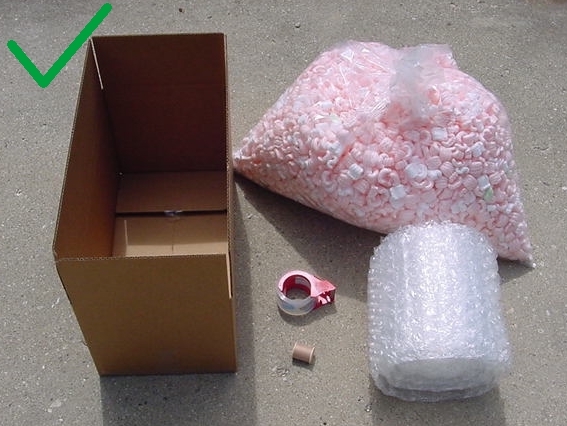 Crumpled paper does not work as a substitute for peanuts (it does not cushion enough, and by the time the box arrives it has compressed to a much smaller size). Box not big enough. Crumpled paper does not work as a substitute for peanuts.